Three funds providing £100 million equity to support small businesses in the Midlands are being launched in Birmingham this morning (Thursday, February 22). Secretary of State Sajid Javid is announcing the investment to provide up to £100 million of equity finance to redress an imbalance in SME funding in the region. Currently just four per cent of the UK&apos;s equity deals take place in the Midlands – despite the region&apos;s economy being larger than countries like Denmark. The equity fund is the latest wave of the £250 million Midlands Engine Investment Fund launched by the British Business Bank (BBB) that aims to help 1,400 SMEs and create 3,800 jobs. It follows the £120 million Debt and Small Business Loans Funds launched in August last year. And it builds on over £1 billion of funding already being provided by BBB to growing SMEs across the Midlands. The BBB said that by working with the region&apos;s ten local enterprise partnerships, fund managers and the business community, the new funding will broaden the funding options and opportunities available to SMEs across the entire Midlands. 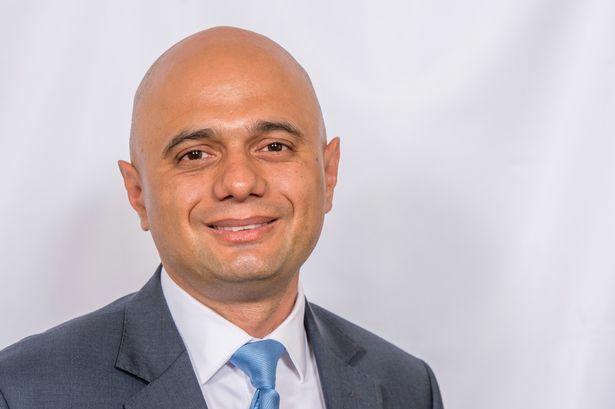 Mr Javid, Housing Secretary and Ministerial Champion for the Midlands Engine, said: "The Midlands Engine already boasts over 14 per cent of the UK&apos;s high-growth businesses and its economy is worth more than £230 billion - larger than countries like Denmark. "We want to harness its huge potential and help give small firms across the Midlands that much needed boost to grow their business. "Ensuring every part of the UK can play to its strengths and spread prosperity is central to our Industrial Strategy and this fund will not only generate jobs to benefit the entire Midlands but, ultimately, the British economy." Patrick Magee, chief commercial officer of the British Business Bank, added: "On Tuesday the British Business Bank&apos;s Small Business Finance Market report revealed significant regional imbalances in the supply of equity finance across the UK. "We believe there is a major opportunity to increase the supply of equity finance in the Midlands, and to enhance the growth ecosystem. "The British Business Bank already supplies £1.2 billion of finance to Midlands businesses and the Midlands Engine Investment Fund will provide more in the most needed areas. "The launch of the Midlands Engine Investment Fund&apos;s equity finance will help to grow the region’s access to funds to support its economic potential and collective talent. "I encourage Midlands businesses looking to take the next step in their growth journey to connect with our three Fund Managers to see how equity finance could benefit them." Jonathan Taylor, vice-president of the European Investment Bank, said: "This exciting new initiative will enable companies across the Midlands to expand, create new jobs and harness business opportunities. "The European Investment Bank is pleased to support the new Midlands Engine Investment Fund that follows the proven success of regional funds elsewhere in the UK and across Europe to provide new investment that addresses the specific financing needs of local firms." Following the launch, the Midlands Engine Investment Fund and its network of local enterprise partnerships are to host ten events across the Midlands. They will provide intermediary advisers with the opportunity to learn more about the funding available, its potential uses and, most importantly, how to apply. Where can SMEs find out more about The Midlands Engine Investment Fund? How does the Midlands Engine Investment Fund (MEIF) equity finance work? Small Business Loans Funds operated in the West Midlands by BCRS Business Loans Ltd and in the East &amp; South East Midlands by Enterprise Loans East Midlands Ltd and a larger Debt Finance fund operated across the whole of the Midlands by Maven Capital Partners UK LLP. About the Midlands Engine Investment Fund (MEIF)? The Midlands Engine Investment Fund is operated by British Business Financial Services Limited, wholly owned by British Business Bank, the UK’s national economic development bank. Established in November 2014, its mission is to make finance markets for smaller businesses work more effectively, enabling those businesses to prosper, grow and build UK economic activity. The project is receiving up to £78,550,000 of funding from the England European Regional Development Fund as part of the European Structural and Investment Funds Growth Programme 2014-2020. The European Investment Bank is providing £122,500,000 to support the Midlands Engine Investment Fund. The funds in which Midlands Engine Investment Fund invests are open to businesses with material operations, or planning to open material operations, in the West Midlands and East and South-East Midlands. The British Business Bank has published the Business Finance Guide (in partnership with the ICAEW, and a further 21 business and finance organisations). About the British Business Bank? The British Business Bank is the UK’s national economic development bank. Our remit is to design, deliver and efficiently manage UK-wide smaller business access to finance programmes for the UK government. The British Business Bank programmes are already supporting almost 3.4bn of finance to more than 59,000 smaller businesses, through over 100 finance partners. They are participating in a further £5.8bn. British Business Bank plc is a limited company registered in England and Wales, registration number 08616013, registered office at Steel City House, West Street, Sheffield, S1 2GQ. The British Business Bank operates under its own brand name through a number of subsidiaries, one of which is authorised and regulated by the FCA.